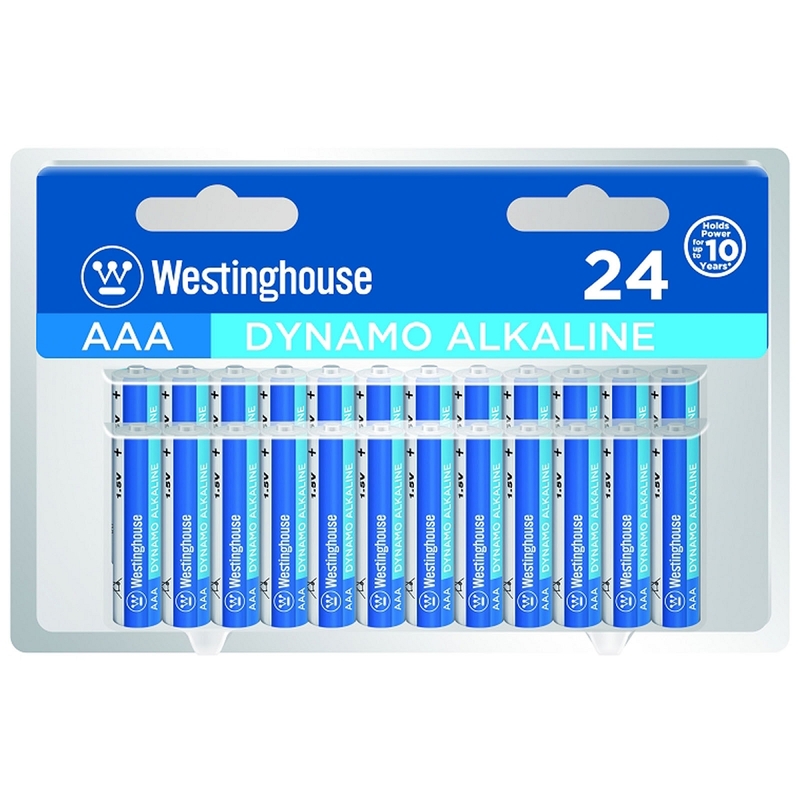 Keep your electronics running strong with Westinghouse Dynamo Alkaline 24 Pack AAA Batteries. These batteries can be of great use in the home to help keep electronic devices going strong. These Westinghouse Dynamo batteries have a ten year shelf-life. This lets you store them until you need them. Be confident that your household devices will remain powered with these reliable batteries.